29 months have passed since Berta Cáceres was assassinated in her home in La Esperanza, Honduras. 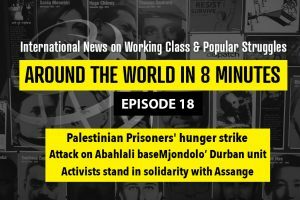 The case reverberated across the world, but justice is yet to be delivered. 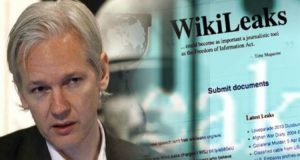 The current legal process, which will see the prosecution of the first set of people to be arrested, has been marked by irregularities and a systematic attempt to prevent the victim’s legal team from accessing the evidence. It has also been marked by the unwillingness of the authorities and the judicial system to see the case in the broader context as evidenced by the refusal of the trial court to recognize the status of victimhood to Berta’s organization, Civic Council of Popular and Indigenous Organizations of Honduras (COPINH). The assassination occurred in the context of a sustained struggle by the indigenous Lenca community in Río Blanco led by COPINH against the Agua Zarca hydroelectric dam project. The community was opposed to the project for several reasons. The concession for the project was given without respecting ILO Convention 169. The convention, which was ratified by the Honduran government in 1995 only after a sustained struggle by COPINH, states that before granting a contract for an extractive project in indigenous territory, the government is obliged to carry out a consultation process that is free and informed. The dam was also controversial because it was to be built on the Gualcarque river which is sacred for the indigenous Lenca people. The dam, which was to be built by the company DESA (Desarrollos Energéticos S.A.) was financed by the Dutch Development Bank (FMO), FinnFund, the Central American Bank for Economic Integration (CABEI), USAID, FECOSA Bank and the World Bank, amongst others. 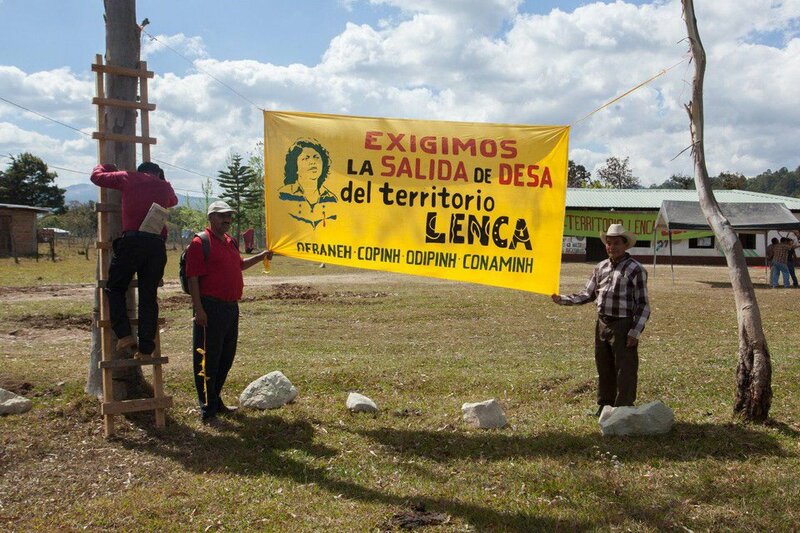 Shortly after Berta was assassinated, several key funders of the project pulled out in response to international pressure, and DESA was forced to suspend construction. However, they still have the contract for the project and could resume it at any time. 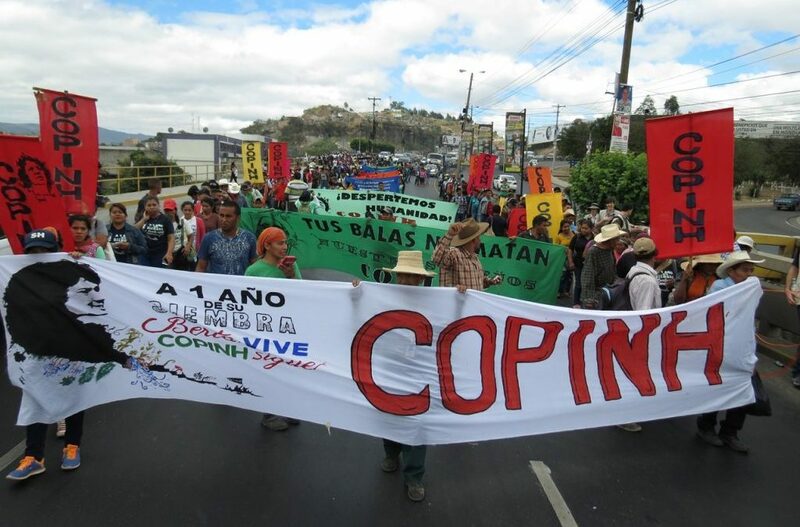 Considering the significance of the national and international investors, COPINH’s fierce opposition to the project was met with well-financed and calculated repression. 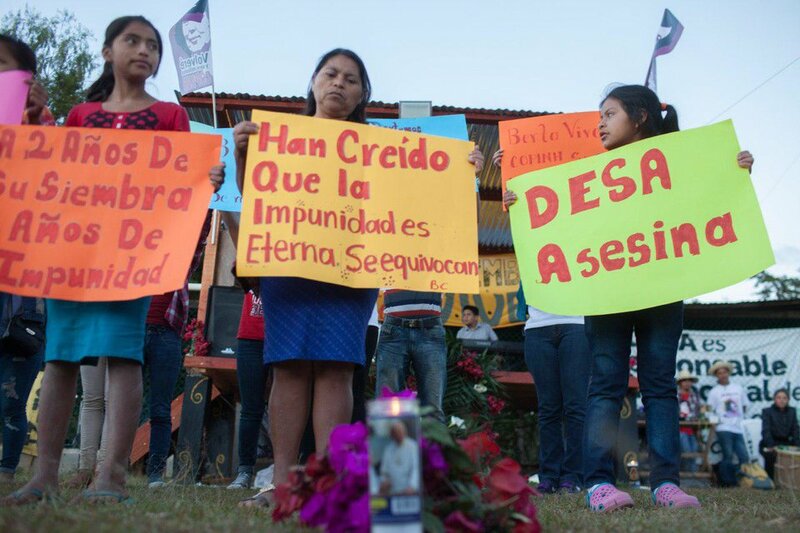 Since Berta’s assassination, COPINH has insisted that DESA, the Honduran state and the several international banks and development funds which financed the project were directly responsible for her assassination. A report released on October 31, 2017 by the International Advisory Group of Experts (GAIPE) confirmed their hypothesis, concluding that Honduran state agents and senior executives of DESA colluded in “the planning, execution and cover-up” of the assassination. Despite the international pressure, the Honduran government continues to make the delivery of true justice in this case impossible and has chosen to focus on those directly responsible and the incident itself, rather than the broader context. The rejection of the status of victimhood for COPINH in the case is part of this general trend. “The comrades of Berta Cáceres should be recognized as affected in the trial and should be part of the process. This did not happen and it sets the trend of not recognizing the political subjects that are part of the dissidence in this country that confront an economic and political model that violates human dignity. 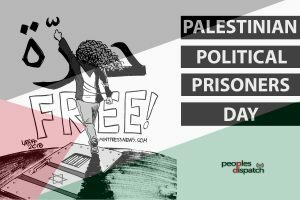 However, we participate in this trial from this perspective, from claiming dignity in building distinct societies through our praxis, from our denouncements, from our permanent protest” he said. Fernandez added, “Our intention is that this trial does not only judge what happened on March 2 when Berta was assassinated but what happened months and even years before in the struggle preceding this tragic event. In order to reach the intellectual author – those who were truly responsible – we are carrying out actions on a national and international level, with a clear political perspective always highlighting the dignity of Berta, her people and all those who struggle. We have a comprehensive legal perspective of what it means for Honduras, Central America, Latin America and the world, that certain economic sectors have as a recurring option the assassination of those who do not think on the same lines as them, of those who do not applaud them, and those who have the courage to confront and resist them. Hey Buddy!, I found this information for you: "Honduran court denies victimhood to COPINH in Berta Cáceres assassination case". Here is the website link: https://peoplesdispatch.org/2018/08/02/honduran-court-denies-victimhood-to-copinh-in-berta-caceres-assassination-case/. Thank you.